RBM Aquaculture | RBM Aquaculture serving the aquaculture industry. 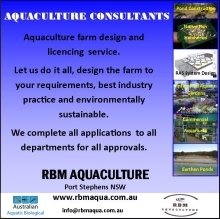 RBM Aquaculture – RBM Aquaculture serving the aquaculture industry. 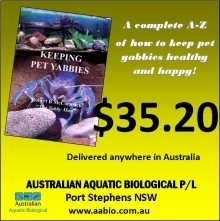 RBM Aqua specialises in crayfish and fish nets & traps, yabby and crayfish books plus consultancy to the aquaculture/aquarium industries. We are a privately owned Australian business with the principal Rob McCormack having over 20 years experience as one of Australia’s leading commercial aquaculturalists. RBM Aqua is part of the Australian Aquatic Biological Group which has instigated the Australian Crayfish Project. 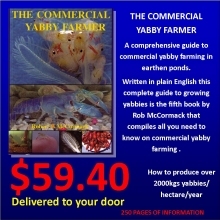 We supply nets, traps and specialized items to the general public and other commercial farmers. As an aquaculture industry leader in Australia for over 20 years we only supply those goods that we use ourselves on our commercial farms and that have a proven performance record. RBM Aquaculture Consultancy Service specializes in consultancy to the aquaculture industry. Utilizing over 20 plus years of experience as industry leaders in Australia, we offer our services to existing as well as new farmers. We specialize in new aquaculture farm developments, assisting new farmers entering the industry with farm design and licensing approvals. 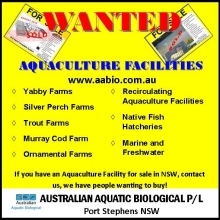 We have designed dozens of Australia’s leading land based aquaculture facilities and offer a wide range of aquaculture consultancy services including: aquaponic system designs, aquaponic gardens, property pre-inspections, development framework plans, economic models, business plans, valuations and expert witness reports, etc. As our Newsletters contain a lot of valuable information that does not go out of date, we have decided to keep them on our website for you to download at a later date. We bring out regular newsletters which are available on our website.